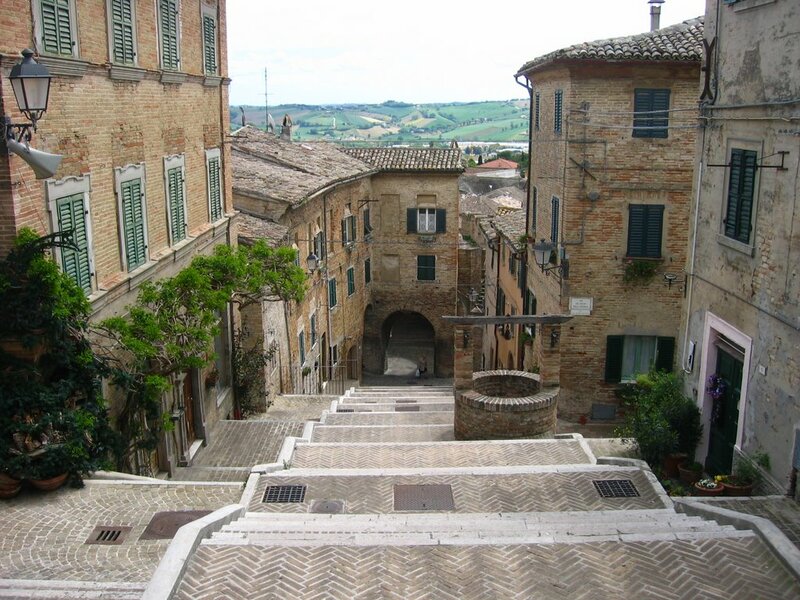 Corinaldo is a village located in the hinterland of Senigallia and stands at the top of a hill on the left bank of the river Nevola. It is included among the "most beautiful villages in Italy" (the most beautiful village in Italy in 2007), the Orange Flag, member of the National Association of the City of Oil and Honey as well as the Tourist Destination of European Excellence ". origins date back to the fifth century AD, when a group of fugitives from the Roman city of Suasa (today's Castelleone di Suasa) settled in the current municipal territory, in an attempt to escape the raids of the Goths. Corinaldo is literally rebuilt from scratch in 1367, following the authorization granted by Pope Urban V, with the current city walls, which includes fortifying elements attributed to the genius of the famous Sienese military architect Francesco Di Giorgio Martini. They are recognized as the most intact and impressive (912 m) of the Marche region and among the best preserved in central Italy. Equipped with doors, polygonal bulwarks, towers of various shapes and bastions, one of which, crenellated and with a very sharp shape, is attributed to Francesco di Giorgio Martini; the fortification resisted a very severe siege by the duke Francesco Maria della Rovere. Inside there is an old city wall, dating back to 1367. The center of the village, with its typically medieval character, is a succession of narrow streets and brick dwellings; the most characteristic glimpse is the Piaggia, also called the Cento Scale, which climbs straight up to Piazza del Terreno, on the top of the hill.